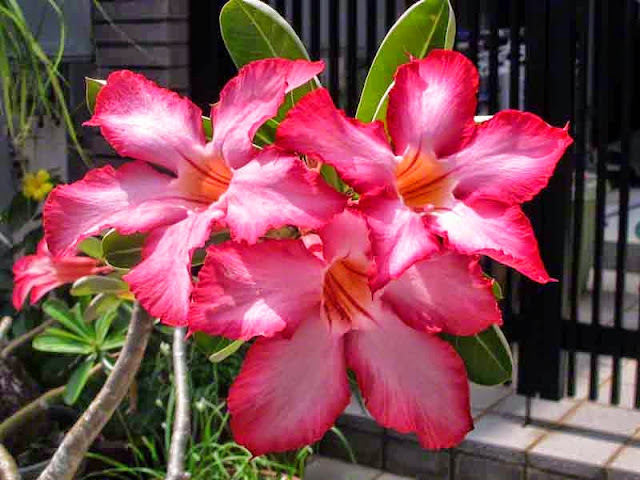 These pink and red blossoms were spotted on a side street in Kin Town. The photos were taken with a Canon G12 and, I was sort of in a hurry. It was lunchtime and the fishburgers would be cold by the time, I got back to the office. It would have been less challenging photography if, I could have moved the plants. Bright light and dark shadows, don't give you the best images. When you're an uninvited guest on private property, it's best to, not touch anything. So, I moved around and shot, knowing, I'd be cropping the photos later. There are so many types of plumeria plants, I couldn't decide on a name for this one. People, around the globe, raise these plants and, keep making new hybrids. If anyone reading this, wants to take a stab at the scientific name, let me know. Otherwise, I'll just keep calling it a Possibly Plumeria. 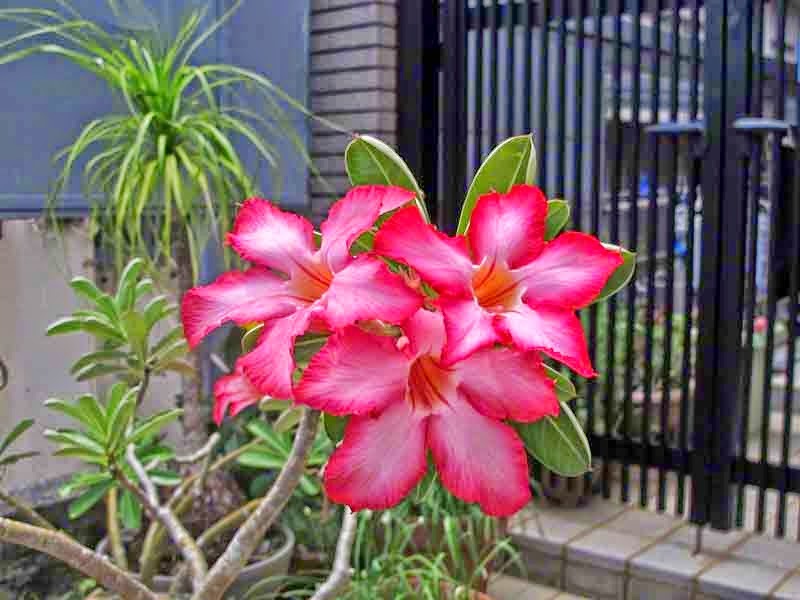 An alert reader, identified this plant and flower as Desert Rose and, I agree. 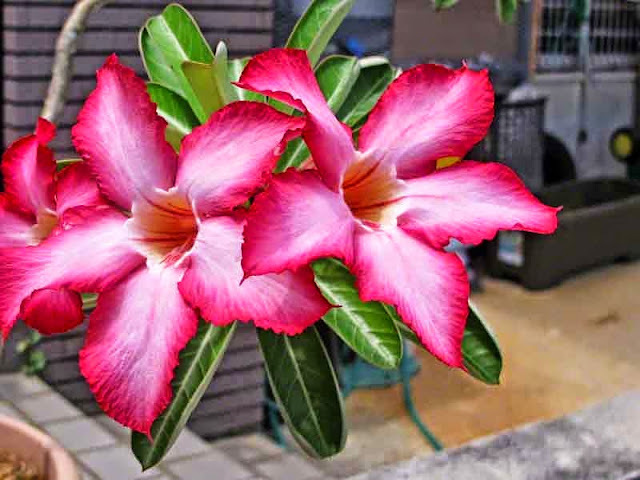 The botanical nomenclature would be Adenium obesum. More about this flower is available at Wisconsin Master Gardener.